You have probably read about all these awesome success stories. The bloggers that are cracking it and live the life that you are still dreaming off (yet). But there is a hard truth that these stories often don’t mention. It sometimes looks as if the successful bloggers have forgotten about their struggles or are trying to hide that time long back when they really had to work for their success, and nothing was easy. The truth is that frustration, struggle, little successes and sometimes also panic is part of the game. That can easily lead to hopping on every new idea, changing your strategy almost daily, trying to change things in quick succession. And that can be the very reason why you fail. 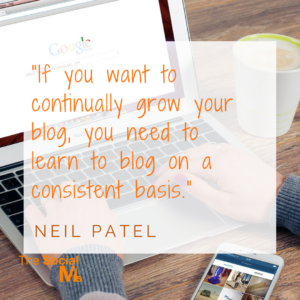 Because consistency is part of any online marketing or blogging success story. Yes, you should be willing to change and optimize your strategy. You should watch the results and skip what is not working. But without consistency and allowing your results to develop, grow and prosper over time, you will not be able to get the success you are aiming for. 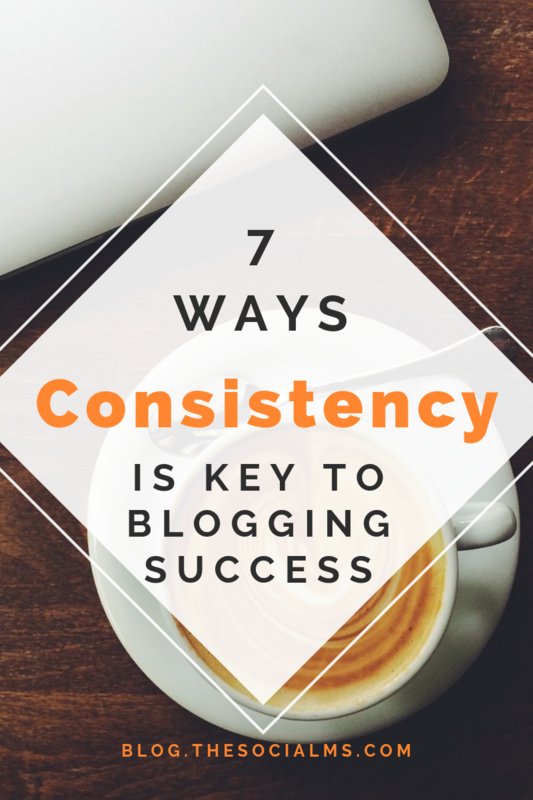 Here are 7 ways, consistency has to be part of your online and blogging strategy. If you want to grow an audience, you need to have a clear focus for your blog topics. While a range in your topics provides variety and may keep the attention of your audience, a very broad scope or even no topic focus at all will make it much harder for you to grow your audience. Your niche does not need to be very narrow – but writing for young mothers one day and blogging about the best travel tips for bachelors the next will not only confuse what kind of audience you have. I already mentioned panic as part of the blogging journey. Panic in various forms and shapes comes naturally when everything does not fall into place but at first, it all seems to go wrong. And panic leads to panic reactions. 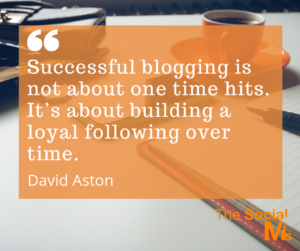 Often those are fatal for blogging success. Because everything in blogging needs time to grow and prosper. Panic is usually unnecessary and meager results are just part of starting out. you have to create content. It takes time to create so many blog posts that you can harvest the full power of social media and search engine for your traffic generation. Be consistent with your content creation. Publish regularly and grow your content hub. an audience needs to grow. Never ever will you start something new and be famous with a huge audience after a couple of days. In the beginning, you will have a hard time to even make a handful of people aware of your efforts. But consistently providing value on your blog and social channels will help you to attract, keep and grow an audience. brand and trust have to grow over time. If you meet new people, will you trust them as much as you trust your oldest friends? If you see a new brand coming up, how do you react to them? Most of the time it is a mild interest but still a little cautious. If you have the choice between the content of an established brand and a new brand you have never heard of – most likely you will choose the established brand. And consistency will help to grow your brand reputation. Think about what face you want your audience to see from you – and then stick to it. If you are a young, boisterous, daring and bolt blogger one day and try to come across as the serious and overly polite business person the next day, you can easily hurt your blogging success. Because the two attract two different groups of people – even if you are still blogging for the same niche. Changing the face that you show to the public and your audience too much can confuse your audience – and prevent you from inspiring the trust you are aiming for. An inconsistent personality may just come across as dishonest. We have worked with young entrepreneurs all looking for the one lucky punch. That might happen – for the lucky few. The broad mass of online entrepreneurs and bloggers have to work for success and growth. And that growth takes time to build up and prosper. Changing your strategy in quick succession is not the best way to build that growth. Not having a strategy at all and hopping from one idea to the next without any consistency is even worse for growth. 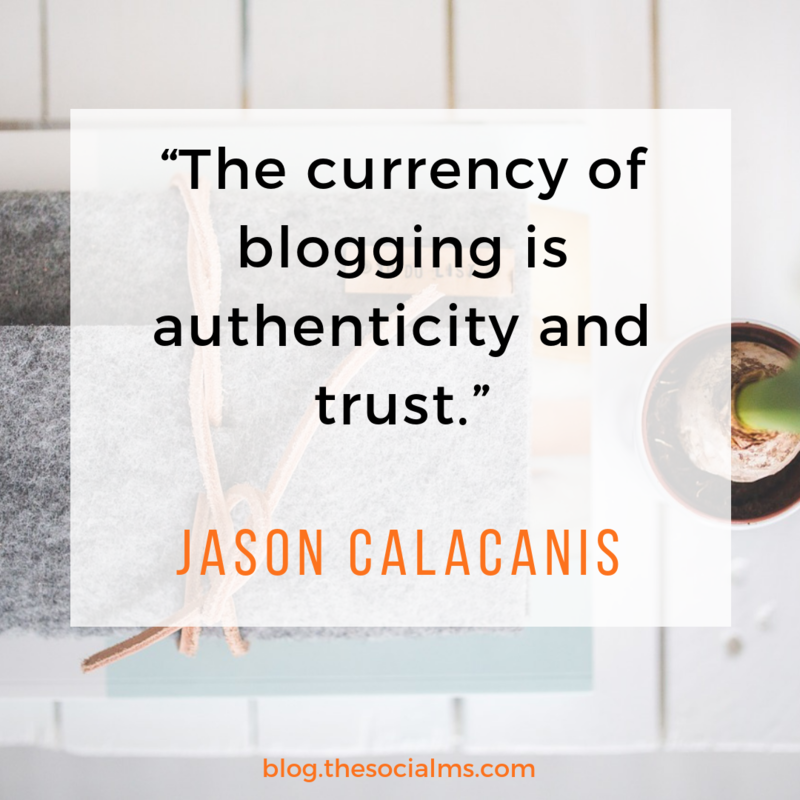 If you are starting out or your blog and audience are still fairly small, you cannot act as if you are already running a famous blog with thousands of subscribers and followers. You have to work on the steps of your blogging journey that are relevant now according to your blogging experience and the state your blog is in. And that is again where consistency needs to come into the game. Don’t get impatient and try to skip some important steps. There are steps you have to take first and others that only make sense if you do them AFTER you did some of the others first. Growing a social media audience takes time. You won’t be able to start posting on social media and have a huge audience the next day. The path to social media marketing success lies in consistency: Figure out what your target group likes to get from you. Do more of that and see your audience grow. Changing your activity and strategy all the time can well prevent you from growing an audience and seeing any kind of traffic success. Blogging habits will help you to stay consistent in your blogging activities. If you develop some kind of routine when you work on which steps in your blogging strategy, this routine will help you to keep going with all relevant blogging tasks without forgetting any crucial steps. 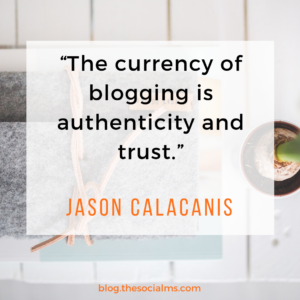 Jonathan addressed the importance of blogging habits in one of his recent podcast episodes – listen in! 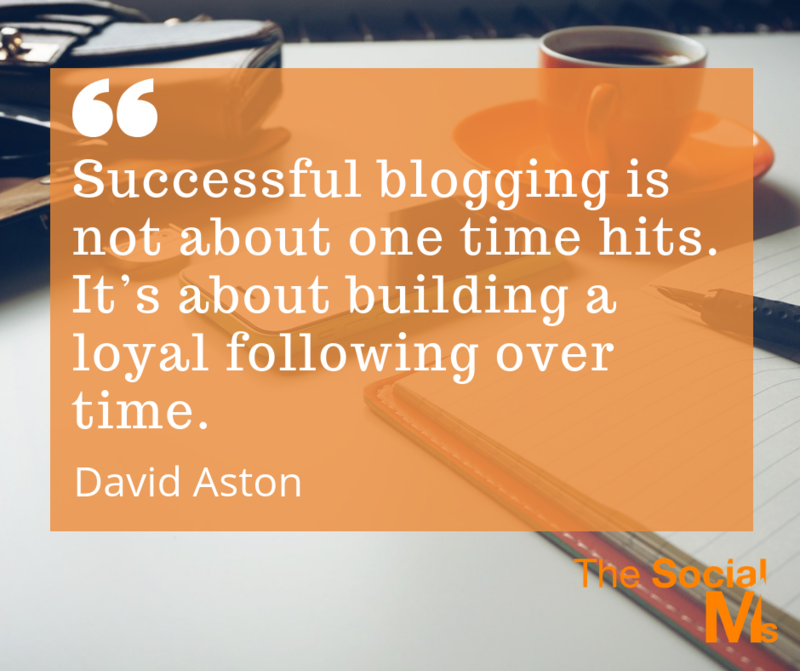 Especially when you are new to the blogging game consistency will also help you to stay focussed and keep going. While consistency should not stop you from being creative and it should also not make you stick to strategies and processes that simply do not work, it should always be part of your blogging strategy! Are you just starting out with your blogging? Everything is new, overwhelming and sometimes intimidating? Are you afraid of missing some important aspects – just because you are so new to the game? We got you covered! 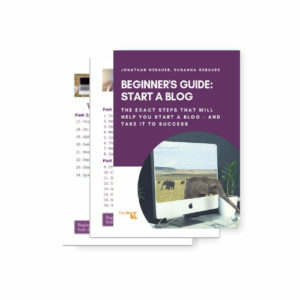 Check out our “Beginner’s Guide: Start a Blog!” We will make sure you take every step at the right time. We ask you the right questions and we show you how to set up your blogging routine. Get started today – and get right on track to success!